Will Andy and Trish be able to see past their limited human understanding to take . . . A Path Less Traveled? Cathy Bryant is a former public school teacher who handed in her chalk for a private music studio and writing career. 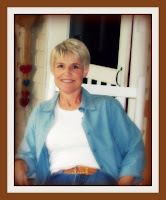 Her passion is to write heart-stirring stories that show God’s life-changing grace. Cathy is the owner of the popular blog, WordVessel, and has written devotions for The Upper Room magazine, two devotional books, and online devotional sites. She’s the wife of a music minister, the mother of two grown sons and a beautiful daughter-in-love, and the Nana of Harrisen. A Texas gal since birth, she lives in a century-old Texas farmhouse with her husband and a phobia-ridden cat. Texas Roads (her debut novel and a 2009 ACFW Genesis finalist) released in March 2010. The second Miller’s Creek novel, A Path Less Traveled, was launched in November 2010. The Way of Grace will be available in 2011. These drawings are for US/Canada only, and will last until November 30, 2010. She will announce the winners here at WordVessel on Friday, December 3, 2010. By sharing this information, I will be entered into a blogger giveaway at Cathy’s site for a $25 gift card. Interesting plot. Thanks for sharing! thanks for the book review and information. It sounds like a good read!